This week while working with some students on a jazz etude we kept running into the same problem. Where to place syncopated eighth notes rhythmically. What I heard from my students while playing the piece was a hesitation or uncertainty each time a basic syncopated rhythm came up. So even though we had covered this concept before, we clearly need to dig deeper. 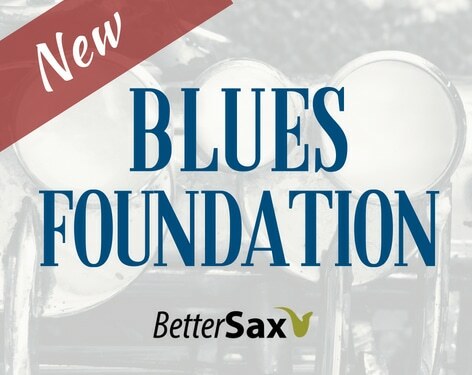 I certainly can remember a time when syncopated rhythms were still a bit mysterious to me and I think this is something that every musician may have difficulty with in the early stages of learning rhythm. Here is a typical example of a simple syncopated rhythm my students and I were dealing with in our lessons. When clapping, your hands should come together exactly on the downbeat, and also should reach their point furthest apart on the “upbeat.” This is natural for most people, but I have seen students clap awkwardly which complicates this process. As you watch your hands make the clapping motion in time, you should see a clear division of the beat into two equal parts. The downbeat where the hands come together and make the sound, and the upbeat where the hands are furthest apart. Now, still with the metronome, clap on the downbeats, but this time say “one and two and three and four and one and two and three and four and…” The word “and” should fall on the upbeat which is exactly half way between each downbeat. You can also clap the downbeats and the upbeats. This should be 8 claps per measure in a steady beat in sync with the metronome. 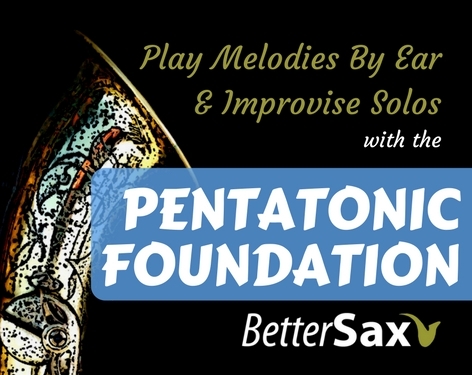 Any student that cannot clap along with a metronome without getting ahead or behind the beat, needs to practice this right away until it is effortless. Notice that each of the 8 eighth notes has a label. These 8 parts of the measure are always there in every measure of 4/4 and must be counted regardless of what rhythm is written. So if we had a measure with a whole note we could still count “1 +, 2 +, 3 +, 4 + ” in our head while playing the whole note. Same goes for any other configuration of notes in the measure. Thinking of a measure of 4/4 as 8 equal rhythmic parts is called subdivision and is something that all musicians need to be able to do without thinking in order to read and play rhythms accurately. To develop this ability, start by counting in your head 1 +, 2 +, 3 +, 4 + while playing or clapping the above examples along with a metronome. Now we can apply this method of labeling the notes to any given measure. Remember that all 8 parts must be present in any measure of 4/4. Let’s go back to our original syncopated rhythm and label it. It is important to point out here that eighth notes get one part or one eighth of the measure, but other note values get more. Quarter notes get 2 and when there is a tie, the tied notes’ values are added together. In this example, the A flat is played for a total of 3 parts since it is an eighth note (1) tied to a quarter note (2). One of 3 possibilities happens on each of the 8 subdivided parts of the measure. Either we rest, start a new note, or continue playing a note. Once you are able to clap the rhythm while saying out loud 1 +, 2 +, 3 +, 4 +, try playing it along with a metronome on your instrument. There should be no hesitation or uncertainty about when to play the notes. If you are not 100% sure repeat the above steps until all is clear. Let’s now label another syncopated rhythm. Once you’ve got a handle on this, go ahead and start labeling some sheet music with a pencil in this way. The process of writing it down yourself really helps the concept sink in. It doesn’t matter if your example has syncopated rhythms in it, but for now stick to measures without sixteenth notes in them. Once you have correctly labeled several measures of 4/4 music (be sure that all 8 parts are present and accounted for) go ahead and play them along with a metronome at a slow, comfortable tempo while subdividing the measure into it’s 8 parts in your head. Practice while playing any sheet music you have until it is second nature, and if ever you have a doubt about a rhythm, don’t be afraid to take your pencil out and label it in this way. This same method can be applied to sixteenth notes. In a measure of 4/4 time, each beat will now be subdivided into 4 equal parts giving us 16 total subdivisions for each measure. Go through the sames steps as with the eighth note subdivisions. Clap the rhythms while saying 1 e + a, 2 e + a, 3 e + a, 4 e + a… along with a metronome. You can also use this system to label sheet music if necessary, but it can begin to get crowded on the page. 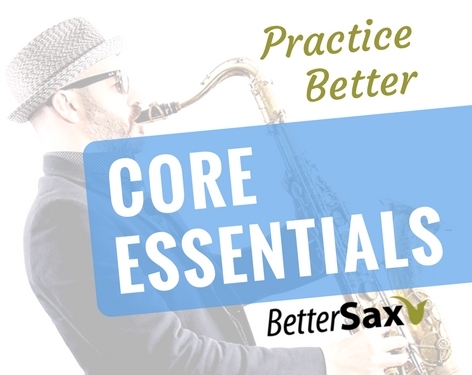 One thing I say over and over throughout the lessons on BetterSax.com is that rhythm is extremely important! 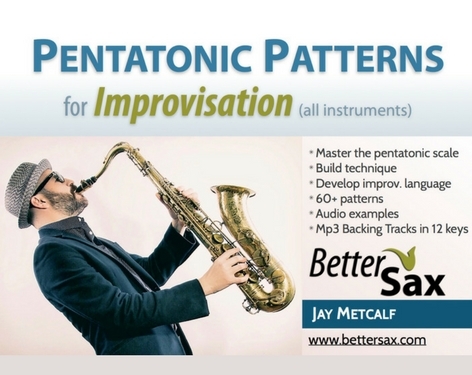 Several of the lessons in the Pentatonic Foundation Course include exercise based on syncopated rhythms. Understanding how rhythm works and having a good internal clock are essential skills for all musicians. If you feel like this area is a weak spot for you, spend some focused practice time working on it. Rhythm is not rocket science or brain surgery. Once you understand how to subdivide and can keep time with a metronome, (almost) no rhythm will be beyond your ability. An old booklet, that may be useful is Alan Raph’s Dance Band Reading and Interpretation. It has lots of exercises and explanation of rules for playing syncopated rhythms in jazz and dance music. You can find it for sale for $5-6 online.